Spring is right around the corner and the Fox is coming back to you. 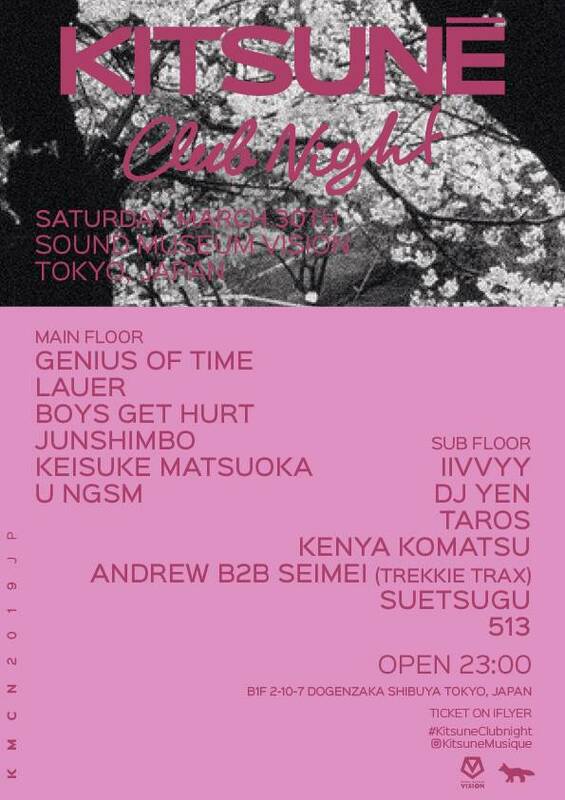 Join us on March, 30th for another massive Kitsuné Club Night at our favorite Sound Museum Vision. We’re thrilled to welcome for this special sakura party Swedish duo’s Genius of Time and Brontosaurus record’s boss, Lauer, alongside amazing local artists.